Helena von Zweigbergk (b. 1959) is an author, journalist and film critic. She started her literary career with the crime series about Ingrid Carlberg, a prison chaplain, and has since then written several bestselling novels revolving around contemporary family dramas. In 2008 she made her literary breakthrough with the hugely successful and praised novel From the Mouth of the Volcano. Her 2013 novel,The Heart Echoes, has sold approximately 150 000 copies in Sweden and is also her first book translated into English. Amazon has bought the rights to all languages, except Swedish. Her most recent project is a work of non-fiction, The Thing About Belongings (2019), an investigation into our relationship with our stuff. It is exciting, dramatic and very well-composed. Helena von Zweigbergk does it so well. With astonishing accuracy, she successfully uses retorts and scenes to capture what happens in a long-term relationship when one part suddenly becomes detached. The insecurity that awakens in the other. The fear. /… / Helena von Zweigbergk is a true genius when it comes to portraying the trivial, but also the beautiful, in a family’s relationships. 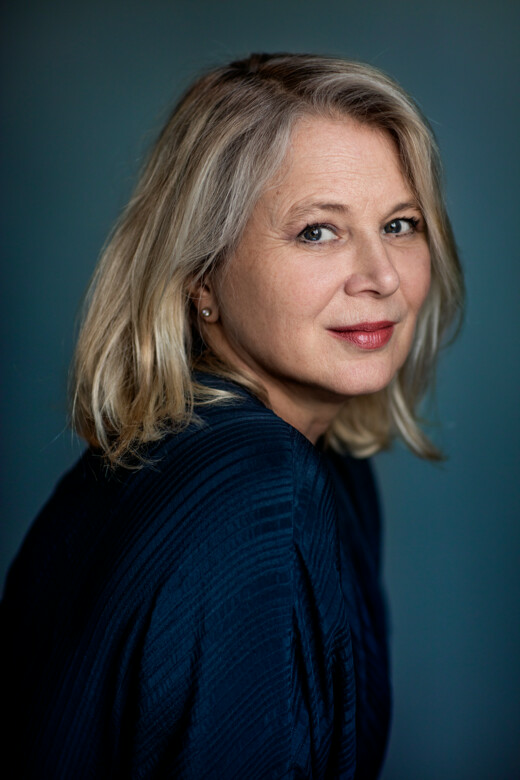 In several novels Helena von Zweigbergk has proved her ability to portray relationships. In “Totalskada” she is better than ever. She has a unique eye and voice that registers and illustrates the unspoken between humans: expectations, disappointments, martyrdom and not least sulkiness. “Total Loss” is an elegy over a home, a house in an affluent suburb, but also over everything therein: furniture, electronics, photo albums, clothes, bed linen, children’s drawings. Memories and dreams, infatuation, squabble and dull reality. What remains when all material things are gone? And when the predominant emotions consist of confusion and shame? /… / What Helena von Zweigbergk pinpoints is the marathon race that equals a long marriage – with eons of time, lots of bad vibes, but also a million things to preserve and remember and cherish. In other words, she describes an integral part of many people’s everyday lives and she does it gracefully yet accurately, profoundly yet respectfully.